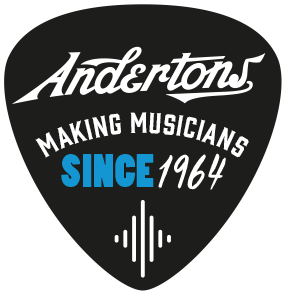 Contact Us - Andertons Music Co.
Why not try our FAQs Page? In the first instance you'll probably be ringing on the shop sales line, that means that while you're calling a customer of ours is waiting in the queue to talk to a sales adviser that you are tying up. Once our kind sales team puts you through to someone in our marketing team you'll then be interrupting someone in the middle of doing some valuable work. That just doesn't make a very good first impression does it? The likelihood that you've called us at the exact moment we were looking to use a solution like yours is completely non existent; we have a roadmap and we won't deviate from it just because you picked up the phone. Think of it like me calling you up out of the blue and telling you what to have for lunch: it doesn't matter that Mexican food is super tasty; if you're not planning on having Mexican today you're not going to get it because I told you to. You're not the first cold call today, you're probably the 10th. So please don't be too offended if we seem a little ratty. We just really, really would rather focus on our customers right this instant. Drop us a message using our contact form whereupon, we'll take a quick look and probably won't reply. We'll file it away so we know where to find it when we're looking for a service like yours - One day we might get back in touch with you. If you call anyway to check we got your email we'll delete the email, probably say some fairly mean words then tell you to go away. Be a human being; we're very fond of human beings. Don't be a relentless selling machine, you'll be surprised how much more approachable we are when we don't feel like we have to be defensive to protect our time. Be patient; one of the only cold calls that lead to us signing with that company took 2 years from first contact to contract signed.